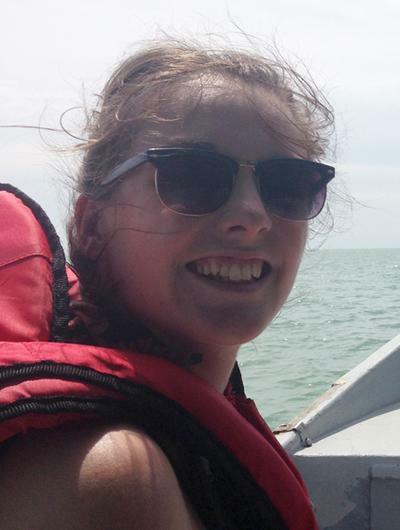 Miss Amy Jewell is a postgraduate research student within Ocean and Earth Science, National Oceanography Centre Southampton at the University of Southampton. 2013 – 2017: MSci Oceanography with French, at the University of Southampton. MSci Project: Plio-Pleistocene coupling of the sub-tropical North Atlantic and North African hydroclimate. 2015 – 2016: ERASMUS exchange at the Université de Bordeaux. Research Project: Effect of a freshwater flux on the Southern Ocean. My research focusses on gaining a better understanding of North African hydroclimate. More specifically, I aim to determine the influence of North Atlantic sea surface temperature and high latitude climate change on North African hydroclimate during the Pleistocene. The timing of arid and humid events in North Africa may have important implications for the evolution and migration of our hominid ancestors. Research project: African rainfall variability – Palaeo insights into the climate history of our hominid ancestors and the monsoon response to a warmer future.